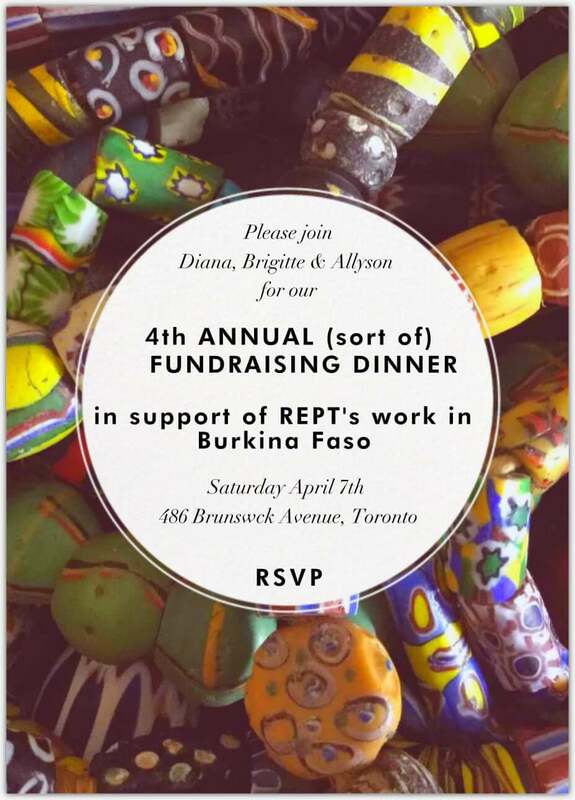 PLEASE COME JOIN DIANA, BRIGITTE & ALLYSON FOR REPT’S ANNUAL FUNDRAISING DINNER. 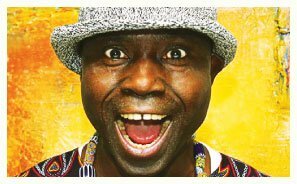 We missed holding this dinner in 2017 as both Allyson & Brigitte were in Burkina Faso but it’s back by popular demand! Minimum Donation: $100.00 per person – for buffet, beverages and (optional) beading. A $75 tax receipt will be provided. 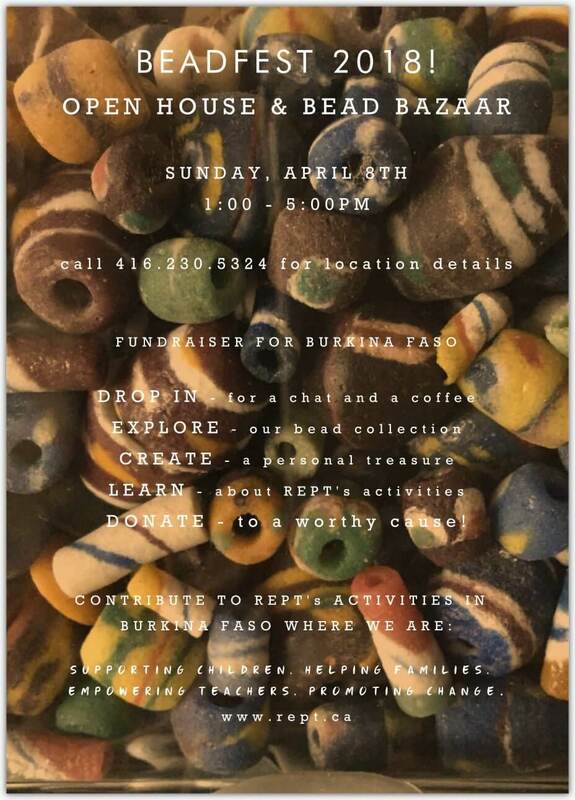 creating a personal treasure from our collection of Ghanaian powderglass beads (come at 6:00pm for beading). Please RSVP (with number of guests) for Dinner as space is very limited.